Yoco, the South African-based Point of Sale payments provider, has raised a Series B round of US$16M led by Partech, a Venture Capital firm based in Silicon Valley, Europe and Africa, with participation from Orange Digital Ventures, FMO (The Dutch Development Bank) and existing Series A investors A. 06 September 2018. Johannesburg, South Africa. Yoco, the South African-based Point of Sale payments provider, has raised a Series B round of US$16M led by Partech, a Venture Capital firm based in Silicon Valley, Europe and Africa, with participation from Orange Digital Ventures, FMO (The Dutch Development Bank) and existing Series A investors Accion Frontier Inclusion Fund, managed by Quona Capital, and Velocity Capital. Yoco will leverage its Series B to grow its network of small business merchants, invest in product development, operational scalability and attracting top-tier fintech talent. It brings the company’s total investment to US$23M. Cyril Collon, General Partner at Partech and Co-lead of the Partech Africa Fund will join Yoco’s Board. Yoco builds tools and services to help small businesses accept card payments and manage their day to day activities. Since launching its first product in late 2015, a card reader that connects with a merchant’s smartphone or tablet, the company has grown its base to over 27,000 South African small businesses, 75% of which had never accepted cards previously. The company is adding more than 1,500 new merchants every month, making it South Africa’s largest and fastest growing independent card payments provider by number of merchants, more than tripling in size since raising its Series A in early 2017. 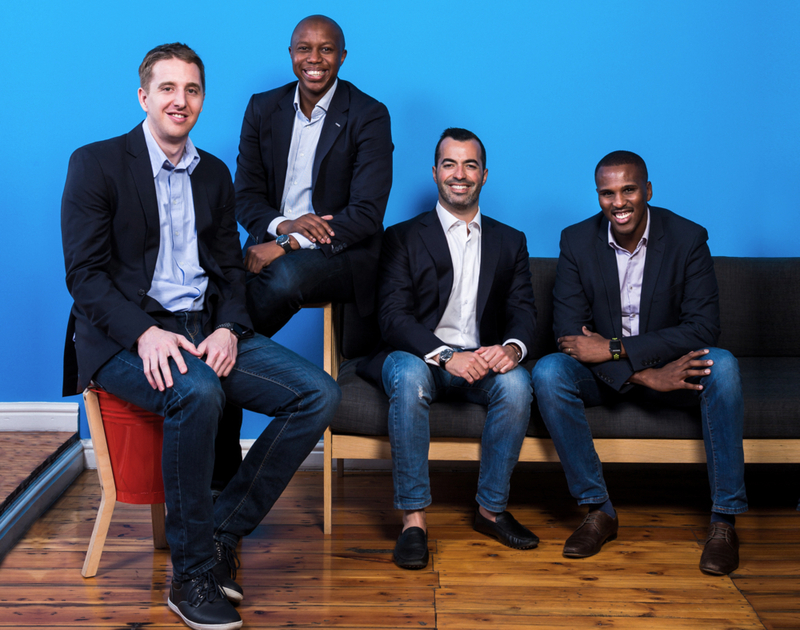 Founded by Katlego Maphai (CEO), Carl Wazen (Chief Business Officer), Bradley Wattrus (CFO) and Lungisa Matshoba (CTO), the fintech company was built to address the pain points that small businesses face when trying to get a card machine. Only 7% of South African small businesses accept card payments, despite South Africa having a card penetration of 75%, with debit cards being the dominant wallet in the country. There are over 1 million small businesses in South Africa ripe for card acceptance. Yoco is closing this acceptance gap by making card payments more accessible through its trusted and secure platform. It lowered the cost of ownership of a card machine by a factor of seven by removing monthly fees and lock-in contracts. Signing up online takes 10 minutes and over 98% of businesses who apply get approved, thanks to its proprietary fraud management system. Yoco’s strategy is to partner with small businesses early in their life cycle and actively help them grow. It has been adding services to its payments solution, which now includes point of sale software, business intelligence, accounting integrations, and working capital financing, in its bid to create an operating system for the small business. Cyril Collon, partner at Partech said: “Yoco has built a product set and quality operations placing it as a top fintech company not only in South Africa but also globally. We are excited to have Yoco as the second investment from our Africa fund. Consumer spending in Africa amounts to over $1.4 trillion, much of which is driven by small businesses. Yoco’s ability to use technology to solve real problems for African small businesses at scale makes it a unique implementation of our investment strategy”. Yoco has long-term ambitions to be a pan-African player. The company believes the convergence of digital payments and software driven value-added services is inevitable in Africa. It has explored various Sub-Saharan markets in the past year, including running pilots in two markets. “We envision that millions of small businesses across the continent will one day use a connected, digital platform to run their businesses and we want to be that platform. The model and approach will differ per market and we are playing a long game. Our new investors are global with strong African footprints and will be great partners in this journey,” says Carl Wazen, Co-founder and Chief Business Officer. Yoco (www.yoco.com) is committed to empowering the growth of entrepreneurs in South Africa through smart technology. Yoco launched its first product in late 2015, a mobile card reader that connects to a merchant’s smartphone or tablet. Today, over 27,000 South African small businesses use Yoco’s card readers and point of sale software to get paid and manage their businesses.